In a bid to introduce technology as something beneficial even to the youth, Power Mac Center recently hosted its “emPOWER UP! 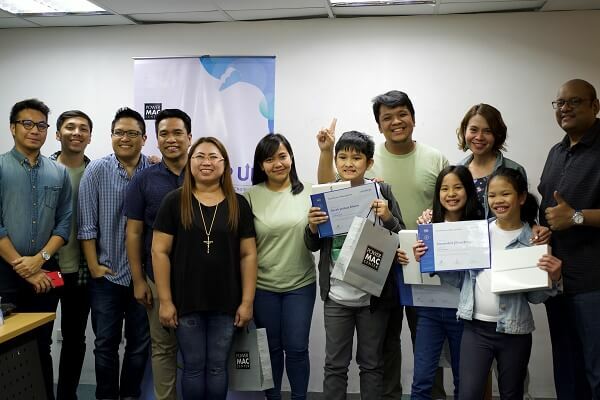 Design a Better World: App Development Challenge” for kids, wherein an app that will help toddlers and grade school students develop their passion in learning developed also by grade school students bagged the top award. The winning app named as ‘BrainVentures’ aims to address the United Nations Sustainable Development Goal of Quality Education putting different lessons in a game. With the app, users will play in a series of activities with the help of a digital sidekick. The activities will help players improve different skills and creativity. The BrainVentures app was made and developed by De La Salle Santiago Zobel students, namely Derek Joshua Altuna, Alexandria Jillian Braga, and Aniela Jenina Lesaca. Team BrainVentures received iPad units as their prize. Aside from this, they will also be given free workshops headed by Power Mac Center’s Apple Certified Trainers who will aid them upload their app in the App Store, which will happen within this year. “Kids nowadays are woke. They understand what’s happening, they know what’s needed, and they help create simple but impactful solutions. And because they’re digital natives, they know how to leverage technology to their advantage,” said Power Mac Center Director of Product Management and Marketing Joey Alvarez. Other winners for the said competition are Team Earth Hero composed of Cameron Sanz, Rebecca De Veyra, and Hannah Mallinlin who developed an app for climate action; and Team Clean ‘Em All comprised of Kaia Mikayla Diola, Enrico Joaquin Abella, and Sofia Annika Ysabel Pagilagan for an app about caring for the environment.